Harry (Mark Bonnar) and Max (Jane Horrocks) are a couple who have lost a son to drug abuse and are trying to construct a computerised one (Brian Vernel) from a flat pack kit according to their own ideals and aspirations. Unfortunately, they have a cheap model and things won’t go as they wished. Instructions for correct assembly is a weird sci-fi play. 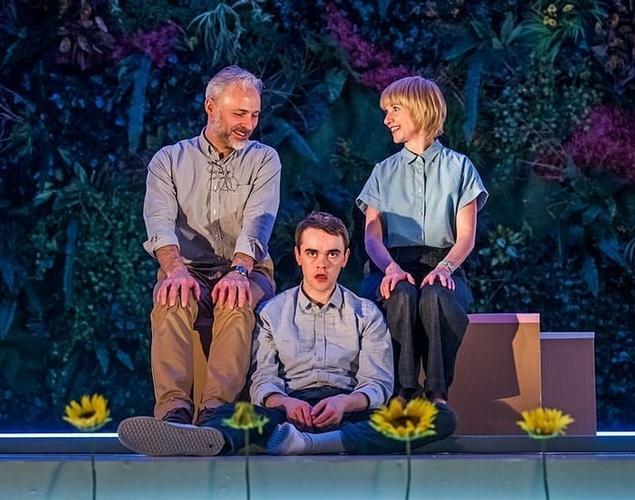 The theme of this play is quite dark, because it is around grief, parenting, artificial intelligence and loss of control but it has a comedic– and clever- script. The stage set is ingenious and the acting brilliant. The first minutes of the play are a bit confusing; the background of the family is not well explained and sometimes the ideas introduced are dry and have a short life, going nowhere. Also I felt it was a bit dragged and could have been trimmered of at least 20 minutes. Overall, it is a creative and provoking play that tells a poignant story. But I would have enjoyed more heart in it.